9 Best Tools For The Successful Blogger . Blogging. It’s a fun way to use your writing talents and hopefully make some money while you’re at it. But let’s face it, some days are more fun than others when you are a blogger. Some days are pure torture. 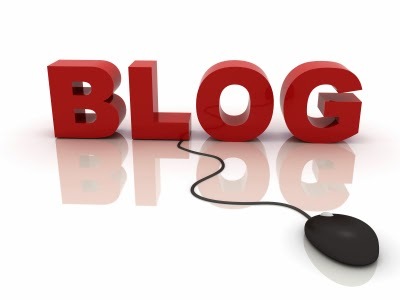 Below is a list of nine tools that are essential to your blogging success. If you use any other writers to contribute to your blog, or even if you write your own content, there is always the possibility that a reference source was cited a bit too accurately. This tool can help you stay on the straight and narrow when it comes to plagiarism. Best of all? It’s free to use! You can pay for a premium membership if you want it to check your grammar, too. This tool is well suited for bloggers, especially if you use WordPress. They can handle your hosting and domain name issues. It is very popular with marketers and webmasters a like. You have all the tools you need to design and implement your own site for one low monthly fee. We all know how devastating it is to lose data. With this WordPress plug-in, you can rest easy knowing that your core database is safe and secure should disaster strike. It is available at the plug-in marketplace and you can set it up to perform backups automatically. This is a tool any business owner or blog writer needs. 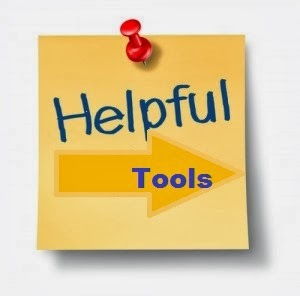 This is the definitive tool for finding out what you are doing right and what you need to improve on. It analyses traffic to your site including bounce rate, unique visitors, and referral sites. Mastering Google Analytics can make or break your blog’s success. There are a lot of SEO plug-ins available for WordPress, so how do you know which one to use? This one! It has some important features the others just can’t match. While most of them let you add your descriptions and meta information, this one also has redirects for permalinks and SEO tools built in. Give it a try, you’ll soon see why it’s so popular. So you know that the proper use of keywords is essential to your blogging success, but how do you determine which ones to use? Market Samurai to the rescue. This tool can help you balance your keywords between most searched for and least used. It can also give you an idea of how much potential advertisers might be willing to pay-per-click for them. Use this tool to increase the traffic to your site. Keeping up with the competition is a breeze with this tool from Google. You can set it up to track a keyword, and it will tell you whenever Google indexes a new site that uses it. It is always a good idea to know what the rest of your world is doing. If you are new to the blogging world, this is the tool for you. It gives you invaluable information on how to get started including tips and tricks of the trade. Use it to learn about using and finding keywords, how to increase traffic and how to make money at it. This is an important tool since linking to Social Media is now critical to blog success. This lets you manipulate several bookmarking sites at once. You do need to be registered on each one first, but once you get started, you will wonder how you ever managed without it. Blogging can be a great way to make money by doing something you love and imparting knowledge about it at the same time. The downfall is that there are thousands of them out there, and if you don’t do it right, no one will know yours is there. With these tools, you have everything you need to make your blog a success. From finding the right keywords to the best hosting site to keeping your data safe, there is a tool for that. William Wilson is a founder of Help.plagtracker. He is writing blog articles in his free time and dreams of becoming famous blogger.